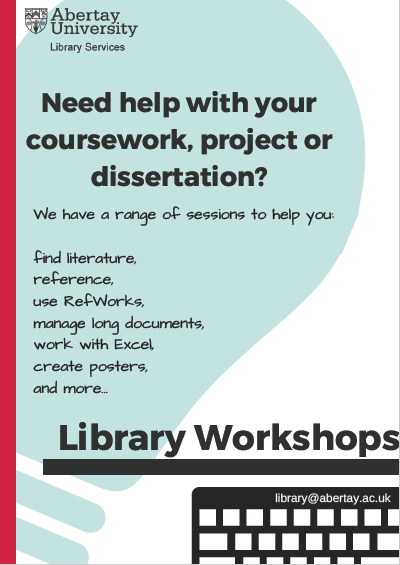 We have a range of hands-on workshops running during October, November and the start of December so if you are looking for help with your coursework, project or dissertation, these are for you! 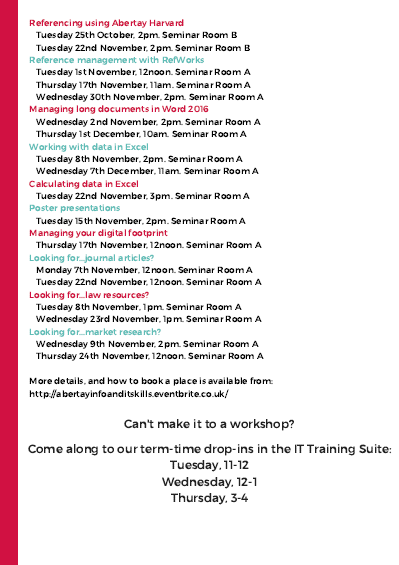 All workshops are held in the Library Building in Seminar Room A or Seminar Room B. Did you know there’s one place where you can access all the online help, guides and tutorials available from Library Services and Learner Development Services? Well, there is! StudySkills@Abertay pages are designed to enable all students, whether full-time, part-time, or distance learners, to get started using Abertay’s information and study skills resources. What does it help me with? 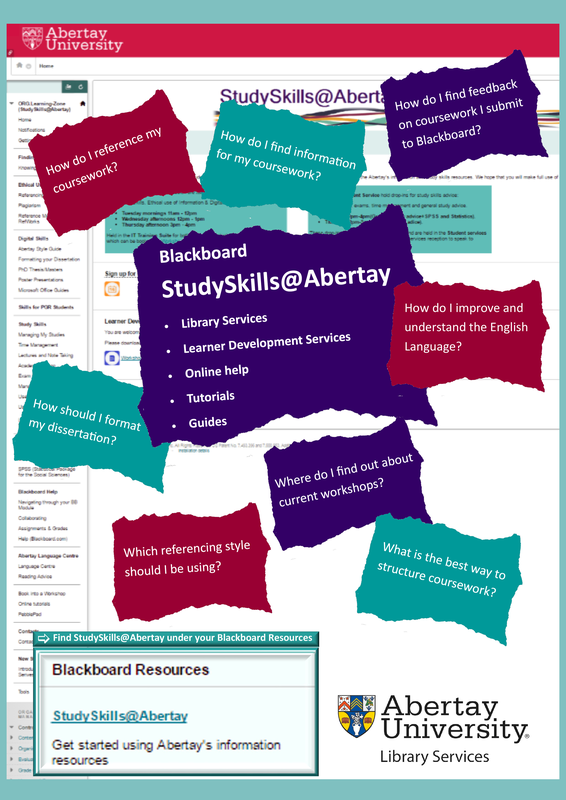 StudySkills@Abertay is available via Blackboard (under the ‘Blackboard Resources’ section) – no registration necessary! If you’re a student here, you’ve got access to this incredibly useful resource. The ProQuest Ebook Central platform will be unavailable for approximately three hours on Saturday15th October 2016, from 6pm to 9pm, due to scheduled maintenance. Students: Win a £50 Amazon voucher! We need you to complete a short questionnaire on our current University Library facilities for the chance to win a £50 Amazon voucher. The University is planning to upgrade and redevelop the Library building and transform it into a true 21st century learning environment. Student feedback is vital in the planning of this space – it’s your library, so we would like you to tell us what you want! Click on the link below to complete the short questionnaire and in turn you will be entered in to a prize draw to win a £50 Amazon voucher – remember to fill in your student number to be entered in to the draw. Copies of the questionnaire are also available at the SEZ desk in the Library. The closing date for completion of the questionnaire is 21st October. The winner will be announced shortly after. If you have any queries, please contact businessservices@abertay.ac.uk.